Sometimes coupons can add up to some hefty savings. Last night I was at the store and after coupons, I save $30. My total went from $78.00 down to $48.00. All because I checked out the sales and clipped coupons before I went to the store. So you have to put some effort into it but it is definitely worth the effort. 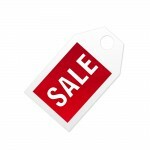 Here are some coupon sites that will help you get on your way to some great savings. moneysavingmom.com – Helping you be a better home economist. 247couon.com – From books to pet stores to clothing. dealcatcher.com – Catch the best deals online. redplum.com – Sweeten the deal. Previous Previous post: Whats the Meaning Behind Friday the 13?